IMatch - Organize your digital images and other digital media files easily. Since 1998 photools.com has been developing software for managing digital images, documents and other digital assets. IMatch has become the image database software of choice for amateur and professional photographers, photo agencies, librarians, archivists, graphic artists, scientists, insurance specialists, health-care, governmental and police users in over 60 countries. 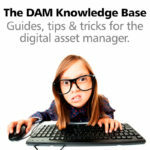 IMatch is a Digital Asset Management system (DAM) for Windows. It solves the problem of managing small and large collections of digital files by making them searchable and accessible. IMatch provides tools for organizing, finding, viewing, presenting, processing and converting images, music, videos, PDF and Office documents and all other digital files. Watch this overview video for a quick glance at some of the major features in the IMatch DAM. See the knowledge-base article Using Adobe Lightroom with IMatch for tips & tricks for optimal integration and cooperation between these two applications. Unlike other image catalog databases or asset management systems, IMatch manages your files where they are, without requiring that you move your files into some sort of database or even re-arrange your files on disk. IMatch works with all your other software, e.g., your image editing and RAW processing applications, Office software, audio and video players. IMatch enables you to organize all your files in one place. Whether you just manage your private photos or you are a professional delivering images to clients, news agencies or stock photo web sites, IMatch makes digital asset management easier and quicker. IMatch is a capable digital asset management system with many features. Although it is easy to use for beginners, it's also powerful enough for demanding professionals. The following list can only give you an initial impression of what IMatch can do for you. Not every feature highlighted below may be important for you (yet) - but it may be for others. IMatch is used by many different user types: (pro-)photographers, videographers, librarians, scientists, artisans, artists, corporate employees, train and plane spotters, researchers, people collecting Exlibris or stamps, doctors, NGOs, police and other governmental users. If you think IMatch may be just the software you were looking for, download the comprehensive help file which explains every feature in detail. Or, better, download and install the free 30-day IMatch trial version and see for yourself. IMatch includes comfortable tools for finding, copying, moving, renaming and deleting files and folders. The powerful Renamer tool enables you to rename any number of files at once, creating file names based on date, time, camera model and hundreds of other metadata fields. The Renamer can also be used to automatically create backups of your files or to distribute files into automatically created folders, based on your naming schema. IMatch is aware of sidecar and buddy files and automatically keeps them together with their master files during all file operations. Never lose a buddy file again because Windows Explorer does not handle them. Whether your file collection consists of 30,000 or 300,000 files, finding specific files without a proper digital asset management system can be a challenge. IMatch comes equipped with a full range of tools which make finding any file a matter of seconds. These features (see below for more info) automatically group, order and categorize your files by things like date, rating, label, location, camera model, lens, author, etc. Using these features avoids a lot of searching in the first place. The search bar in the File Window allows you to quickly search file names and the complete metadata contained in your files. It offers easy options to perform AND and OR searches as well. The IMatch Timeline automatically arranges all files in your database on a timeline. This makes it very easy to find and see all files taken on certain days, within certain weeks, months or even years. You can add icons and notes to each node in the timeline, to record additional information or to highlight points in time. Manual collections like Bookmarks or Flags are a tool you can use to quickly mark and group files for later processing or to visually indicate certain states in the File Window - whatever suits your workflow. IMatch Categories are a powerful tool to organize and group your files independent from their physical location. Categories are hierarchical and can have any number of child categories and levels. Files can be in any number of categories - this does not create duplicates of the files on disk. This makes categories the ideal tool to organize your files in a multitude of ways. You can re-organize your categories at any time and adding, removing, copying and moving files between categories is quick and easy. These are only some examples. IMatch supports thousands of metadata fields, and you can use any of these to group your files - this includes EXIF maker notes, Darwin Core metadata for scientists or ID3 tags for MP3 files. IMatch is one of the very few DAM systems on the market which apply the recommendations of the Metadata Working Group. It fully supports metadata formats like IPTC, EXIF, GPS, XMP and dozens of other formats. It's support for proprietary digital camera maker notes is unparalleled. Stacking allows you to quickly reduce the number of files you have to deal with by stacking similar photos together. The stack is represented visually by the 'best' shot as picked by you. You can see the other files in the stack anytime by expanding the stack or by one of the other related features. Stacks can be created manually by you, or you can let IMatch automatically stack files based on criteria like date & time, GPS data, shooting sequence, white balance or exposure brackets etc. Versioning is an advanced concept in IMatch. It allows you to keep track of master files (e.g., a RAW image) and all versions created from this master file (e.g., DNG files or PSD, TIFF and JPEG files). IMatch not only visually indicates which files are masters and versions, but also allows you to automatically synchronize metadata between master and versions. For example, when you change the description for the master file, the same change is performed on all versions. Naturally you have full control over the process and when and which metadata is copied. Attributes enable you to create your own database inside the IMatch database. Attribute data is stored as an integral part of the IMatch database. It can be considered as more secure and private than metadata stored directly in files. IMatch uses existing GPS data in your files for a variety of purposes, from searching/filtering to sorting and categories. It can automatically group your files based on geo-data like country, city and location. IMatch is independent and open and can display and use maps from providers like Google, Bing and OpenStreetMap. The Map Panel displays your files and allows you to add and change GPS coordinates easily. By employing automatic reverse geo-coding methods, IMatch can resolve GPS coordinates in your files into geo-data like country, city and location. In addition, IMatch includes a range of scripts which import and export data into various other formats, or connect to external systems. Upload to social networks and photo sharing sites can usually be performed directly from IMatch via drag & drop. The comfortable and flexible IMatch printing feature enables you to create photo books, contact sheets, portfolios, publications, reports and many other document types. The unique Dynamic Templates feature makes it easy to produce document templates which work with any number of files, automatically group images into chapters, add headers and footers, cover pages, print metadata in flexible ways - fully automatic and adaptive. Download the free 30-day trial version of IMatch and test it on your computer, with your files and workflow. Please visit the IMatch Learning Center for free video tutorials which explain all major features of IMatch. You can easily access your IMatch database from any device and operating system with the IMatch Anywhere™ add-on. Browse IMatch databases on your tablet, smart phone, Mac or Linux PC. Locally and remotely. See IMatch Anywhere for more information. No subscription. Perpetual (non-expiring) license. We use IMatch in our research lab to organize, classify and view over 150,000 digital assets. We save so much time and can find any file in an instant. Amazing! I have about 200,000 photos taken by my wife and me in 60 countries over the last 50 years; literally a lifetime of memories. We use IMatch to categorize and retrieve those photos/memories quickly and easily. We would be lost without it.